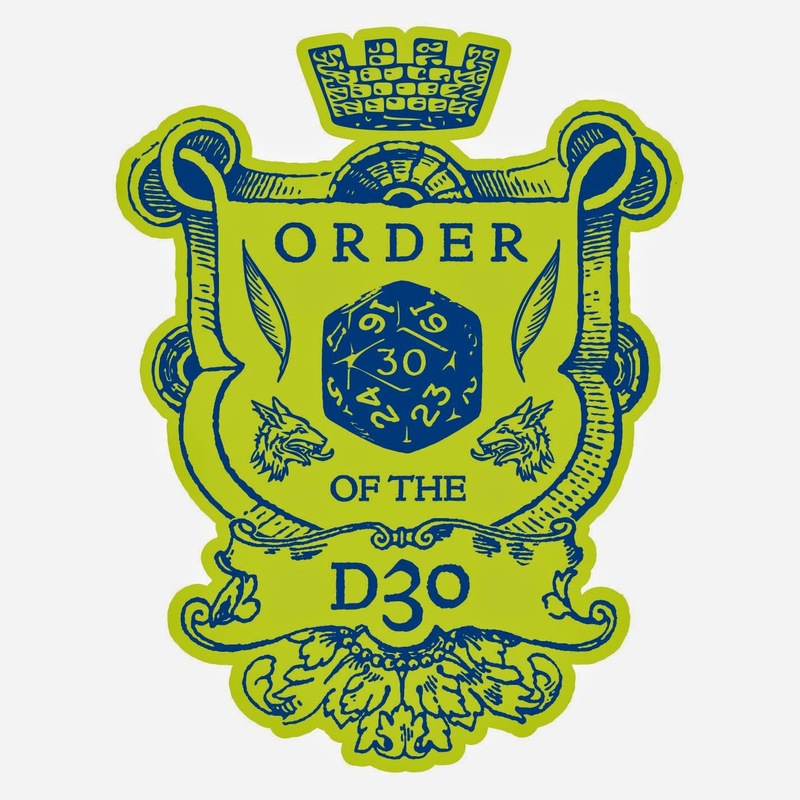 Since I've had a couple of requests for alternate ratios for the Hex Crawl Worksheets from the d30 Sandbox Companion, I've put together a free d30 Sandbox supplement - Sandbox Resources: Hex Map Pack. 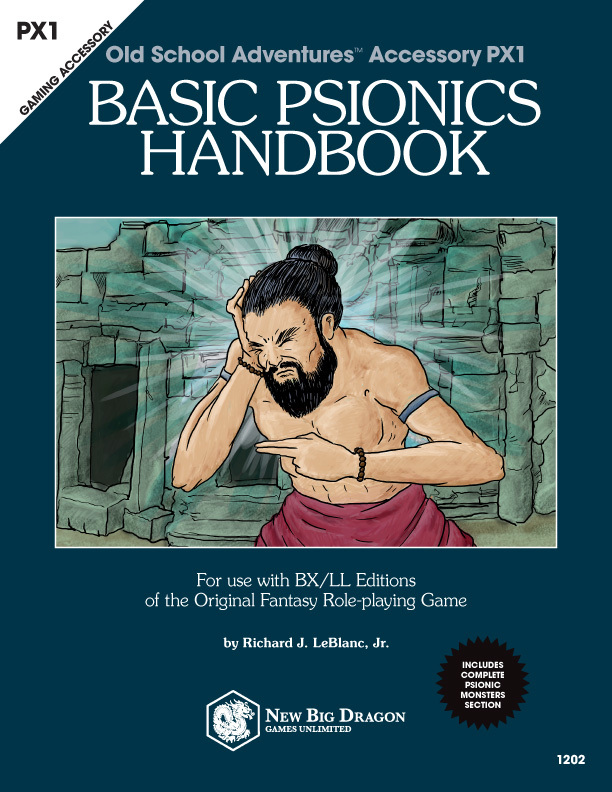 It's got the Hex Crawl Worksheet in 4:1, 5:1, and 6:1 ratios (4:1 is the ratio that's been on my free download page for quite some time, 5:1 is the old Judges Guild Standard, and 6:1 is what appears in the final d30 SBC). There are also geomorph-style blank hex mapping pages (which, should you choose to do so, could be printed, cut out, and "pieced" together). 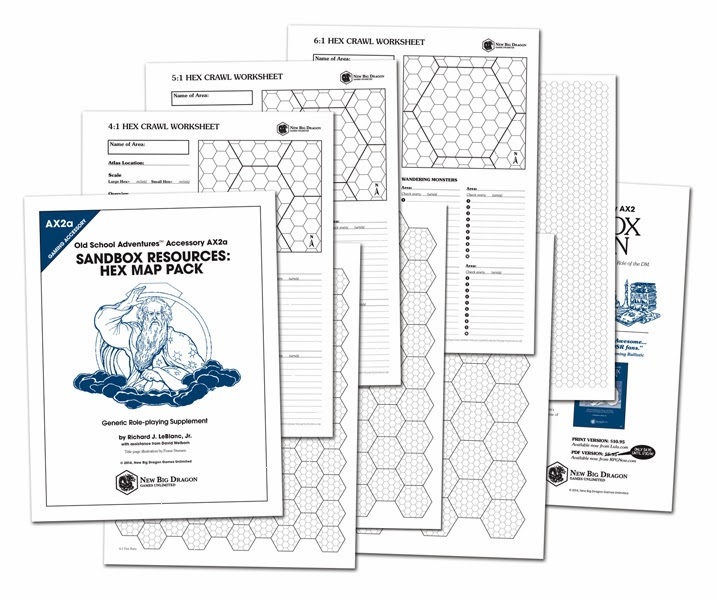 Download the Sandbox Resources: Hex Map Pack PDF for FREE from RPGNow.